dont throw your dead nicd batteries into trash; get new life from a dead nicad rechargeable battery by our easy to follow instructions. you can revive dewalt nicd battery or any other nicd batteries (any brands any volts) using our nicd battery repair instruction guide. no need to buy any special tool to repair the battery. when a nicad rechargeable battery ages the chemistry changes inside the nicd battery and therefore it is impossible to hold charge. the battery restoration guide from us will show you step by step how to get new life from your dead dewalt nicd battery. 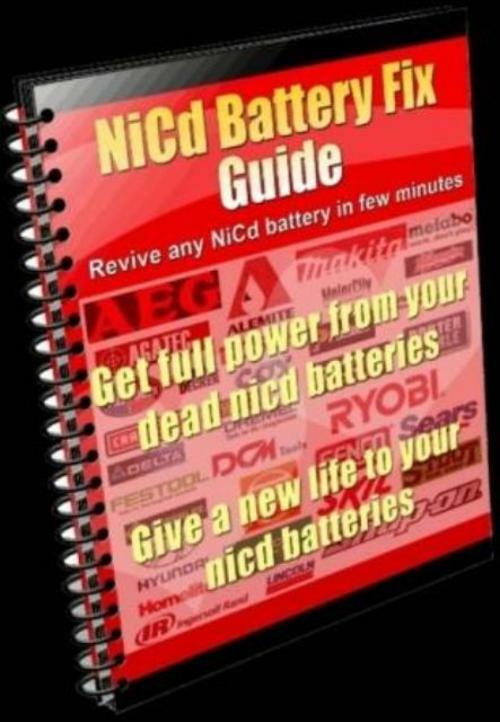 most of us believe that there is no process that can turn a used or dead nicad battery into a new one, but there is one proven way to get more life from your dead rechargeable nicad batteries and we will show you that easy to follow process. nicad battery repair can be done in 5 minutes and you dont have to open the battery pack. nicd battery works ok for a minute or so and need to be charge again. use our battery repair guide to. * get full power from your dead dewalt nicd batteries. * your dewalt nicd batteries will run like new again.